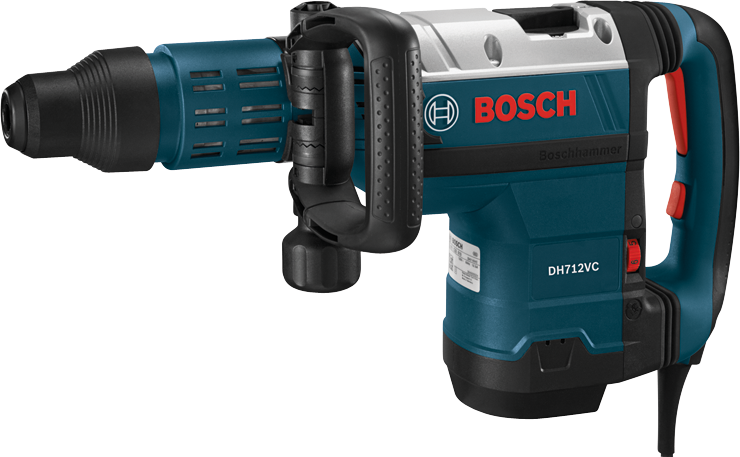 The Bosch DH712VC SDS-max® Demolition Hammer is a muscular tool to get tough jobs done. It provides 9.6 Ft.-Lbs. of impact energy and a max of 2,720 BPM, but this 14.5 Amp demo hammer weighs only 18.3 Lbs. for outstanding power-to-weight performance. 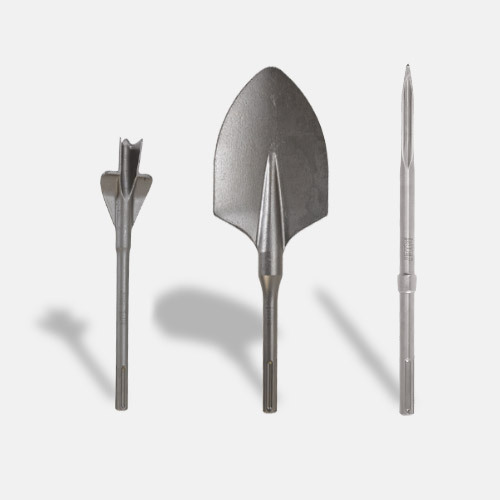 The tool has Vibration Control for all-day comfort and Constant Response circuitry for constant power under load. Vario-Lock positioning lets the user rotate the chisel into one of 12 positions for optimal work angle, and the articulating auxiliary handle provides better control and the best working angle possible. The SDS-max® chuck system provides tool-free bit changes, while the Service Minderlight indicates that maintenance is needed.